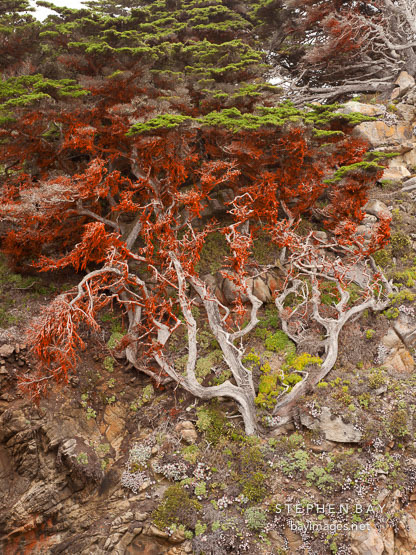 Photo: Algae rich in beta carotene cover this Monterey cypress tree. Point Lobos, California. Algae rich in beta carotene cover this Monterey cypress tree. Point Lobos, California.